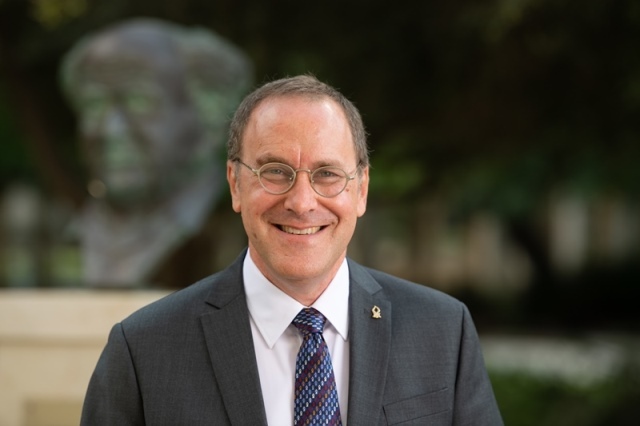 Daniel A. Chamovitz Ph.D. was elected President of Ben-Gurion University of the Negev in August 2018 after serving as Dean of the Faculty of Life Sciences at Tel-Aviv University since 2014 and assumed the presidency on January 1, 2019. Prof. Chamovitz, a native of Aliquippa, Pennsylvania, studied at both Columbia University in NYC and the Hebrew University of Jerusalem, where he obtained a PhD in genetics. From 1993 to 1996, he carried out postdoctoral research at Yale University before accepting a faculty position at Tel Aviv University. As a member of Tel Aviv University's academic faculty, he received the prestigious Alon Fellowship for outstanding young researchers from the Council for Higher Education. He has published extensively on developmental biology, computational biology and botany in scientific journals. He is founder of the Manna Program ​for Food Security at Tel Aviv University and his 2012 popular science book, 'What a Plant Knows', received critical attention worldwide and has been translated into 18 languages.